This Unsweetened Drinking Chocolate powder can be used to make the original Aztec recipe with water, cinnamon, chili and honey. Or just add to hot milk and sweeten as you like to make thick, creamy hot chocolate the delicious European way. Chocolate is actually based on the Meso American word Xocolaltl (shoko' lot-all) which is an onomatopoeia (word that sounds like the meaning) of making the chocolate drink. Xoco (means bitter but also sounds like the frothing of the chocolate drink using a molinillo) and latl (means water but also sounds like pouring of water from an earthenware vase or olla pot). So the word chocolate is based on the words the Aztecs used for making their glorious drinking chocolate. California style hot cocoa recipe: Whisk 4 Heaping Tablespoons Drinking Chocolate with 8 ounces of hot almond milk and 2 Tablespoon honey. Whisk to homogenize with liquid and froth. 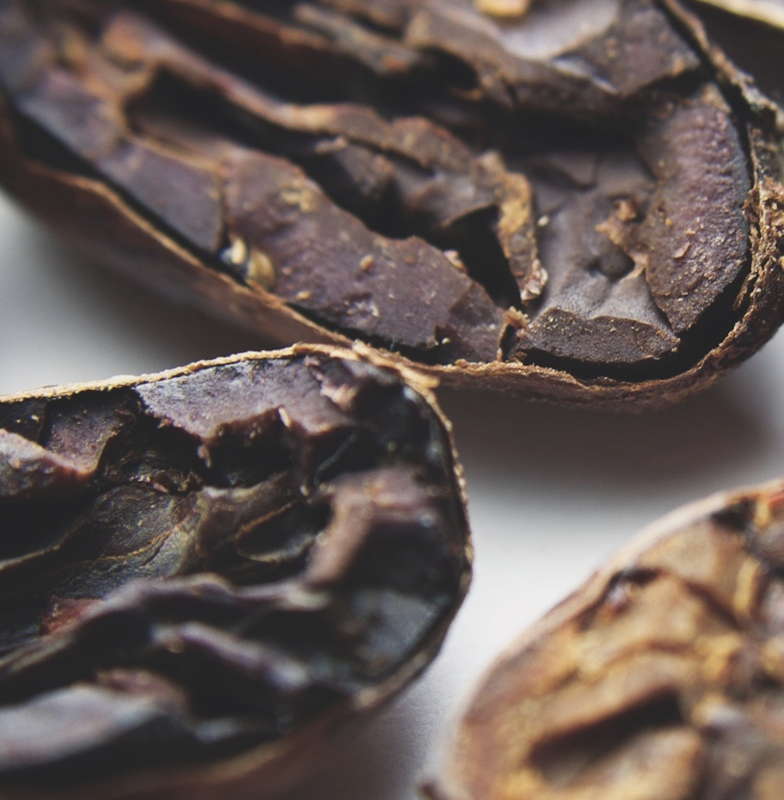 Our gourmet drinking chocolate is unsweetened and made from extra dark cacao. It has a light red hue when frothed due to the cocoa bean type. Made from very exotic cacao we have sourced Ethical Trade direct. Our unsweetened dark drinking chocolate is made from pure ground cacao solid chocolate with no sugar - make a slurry and then flavor with honey and spice. Serve frothy by whisking or shaking. It can be stored in the refrigerator once made (shake till frothy and pour). We recommend using a mix of 1:1 cacao powder to raw brown sugar. Use a mix of 3 TBSP per 4 oz of milk. Serve frothy. It will take mixing to get the powder to suspend in the milk (this is due to raw cocoa butter). It tastes wonderful and is a real delight. Cacao Powder is the same as Cocoa Powder. Both are common names for the concentrated powder made from cold pressing cacao nibs extracting raw cocoa butter and leaving a low fat brown fiber cake that is ground into powder. This powder is known under FDA terminology as natural cocoa and in the gourmet chocolate world as Cacao Powder. 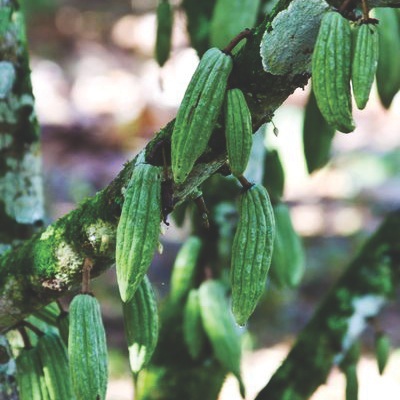 The powder is a concentrated food made exclusively from the seeds of the cocoa tree. it is sugar free, vegan and has a strong flavor due to the healthy alkaloids and natural antioxidant value. 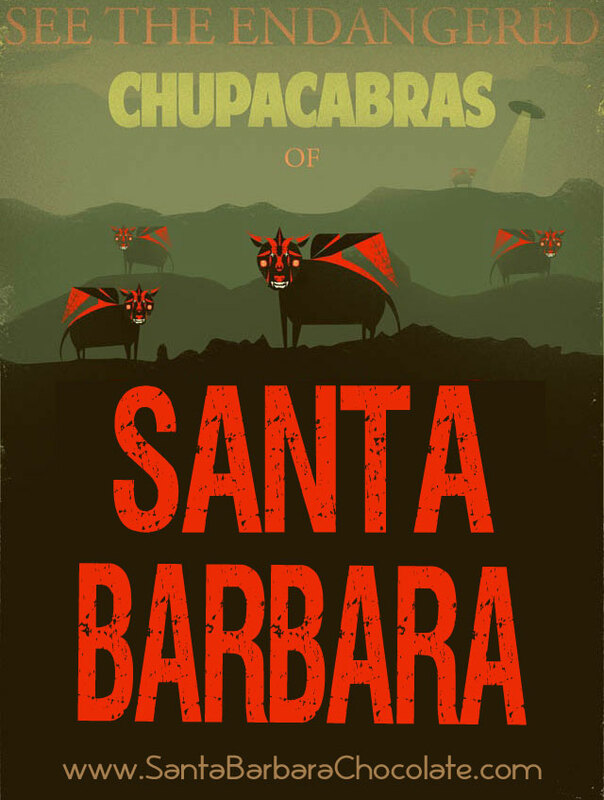 Santa Barbara Chocolate Cacao Powder is Natural (meaning it is not alkalized and is just pressed cacao nibs ground to a powder). The cacao benefits include no extra processing, 100% organic, Fine Superior Hispaniola cacao flavor and low fat but still full of all the healthy nutrition you would expect from a raw superfood. Flavor profile: Hispaniola Fine Flavor Cocoa is floral with prominent chocolate notes, mild fruitiness and very slight acidity. 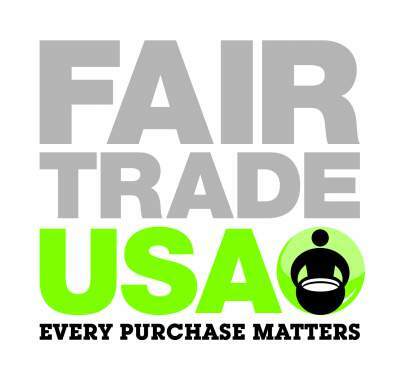 Farm Direct Trade ensure living wages and high quality fresh cocoa and chocolate products. 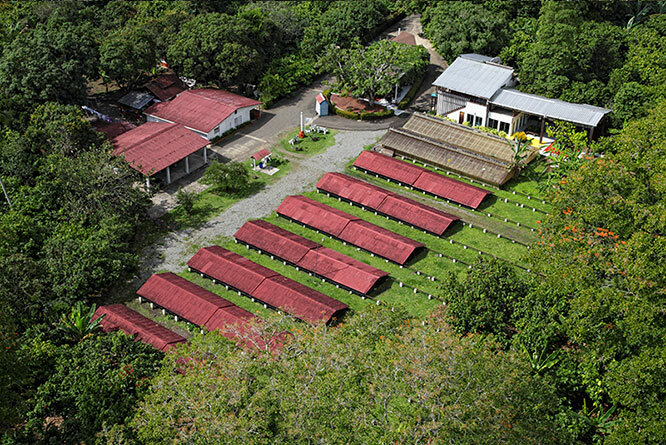 Criollo Cacao grown in the Rainforest around the cocoa farm. Close up view of the Raw Cocoa Bean cut in half. This inside seed is the Cocoa Nib - this is what is pressed into cocoa powder. Manufactured in a factory that handles tree nuts, soy, and milk and dairy products. 60 - 68°F; relative humidity < 60%, in odor free atmosphere. Best used within 24 months of production date. *Nutrient content information is indicative of composition but not intended as definitive or complete. It is not intended for use in determining specific nutrient labeling values in finished products containing this ingredient as the responsibility for determining label information lies with the finished product manufacturer. 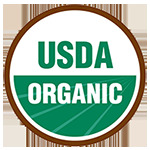 Organic matter such as contained in products of this nature is subject to variation in nutritional composition. We disclaim any and all warranties, whether express or implied, including the implied warranty of merchantability. Our responsibility for claims arising from breach of warranty, negligence or any other cause shall not include consequential, special or incidental damages, even if we have been made aware of the possibility of such damages, and is limited to the purchase price of the product. 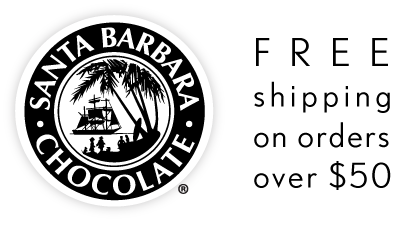 None of the statements made herein shall be construed as a grant, either express or implied, of any license under any patent held by Santa Barbara Chocolate or other parties. Unsweetened Drinking Chocolate has No Sugar. Gourmet Dark Drinking Chocolate has a red hue due to our rare gourmet cocoa we use. Make it as sweet as you want by adding your own sugar or sugar alternative. Thick and rich in chocolate flavor this is the best way to enjoy chocolate easily anywhere and in a smoothie too. This is 100% cocoa. Make a batch and store chilled in the refrigerator for a quick and tasty afternoon delight. For the best tasting hot chocolate drink, be sure to whisk thoroughly to make frothy.